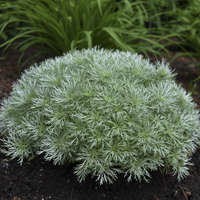 This seedling of 'Osage' was selected by Rick Darke who saw great potential in its powder blue foliage and erect habit. 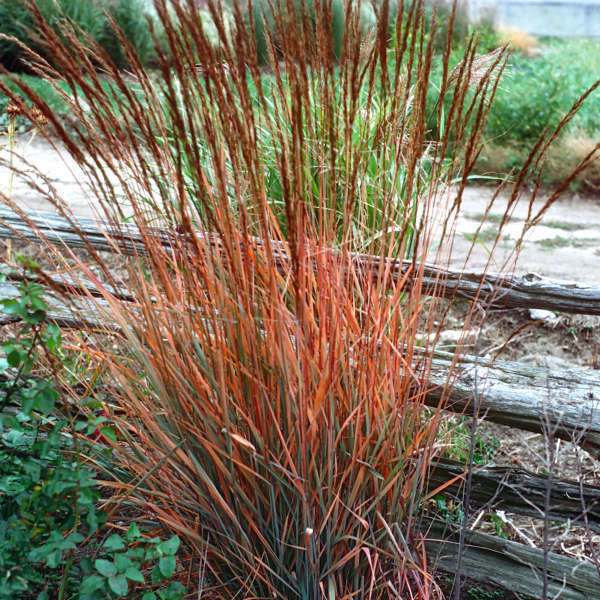 This is a clump-forming grass that turns yellow in the fall, then fades to tan and remains standing through most of the winter. 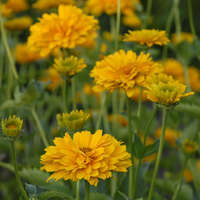 In late summer, copper brown flowers with conspicuous bright yellow pollen sacs attached are produced. They make wonderful cut and dried flowers. 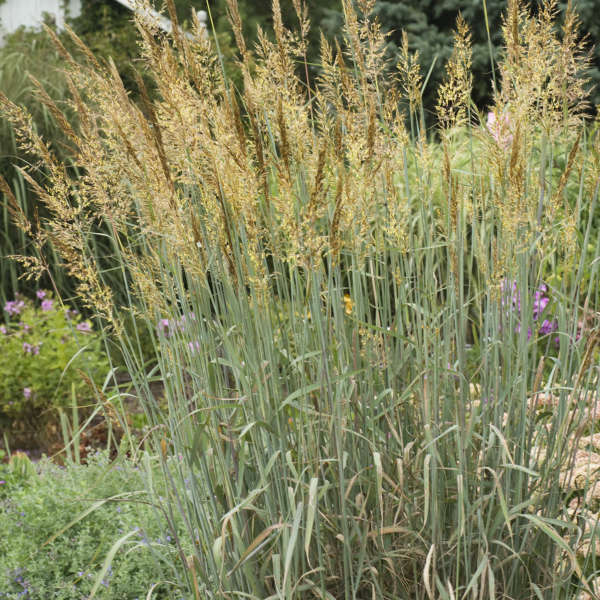 This heat tolerant, disease resistant, clumping forming grass is native to North American prairies. 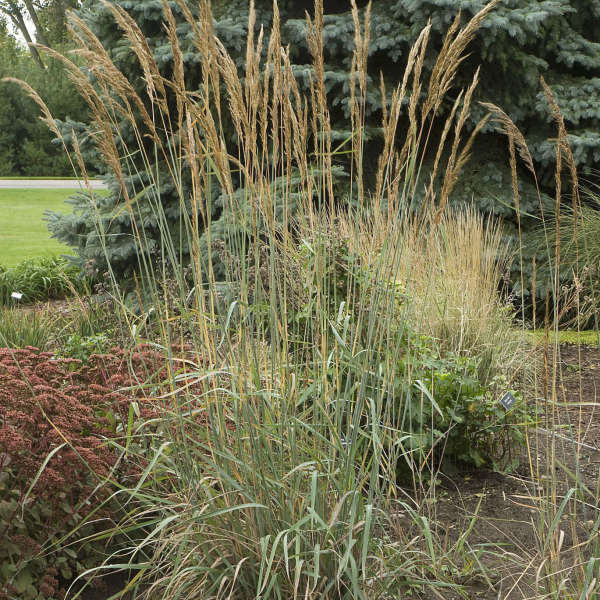 This grass is easy to grow in a wide range of soils including heavy clay. It tolerates any soil moisture from dry to consistently moist. Grow this grass in full sun. 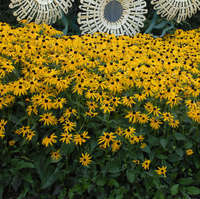 It is heat tolerant and free of foliar rust, making it a good choice for southern gardens.